MATABELELAND South province has remained the hotspot for HIV and Aids after recording the highest HIV prevalence rate last year followed by Matabeleland North province, latest statistics from the Health and Child Care ministry reveal. Speaking at a sector consultation meeting organised by the Zimbabwe National Network of People Living with HIV and Aids on Tuesday, medical officer (Aids and TB unit) in the Health and Child Care ministry, Rudo Kuwengwa said Matabeleland South has remained a hotspot over the years and more efforts were needed to arrest the development. “Matabeleland South has the highest prevalence of HIV at 21%. This may be attributed to the fact that there is a very busy border town and there is a lot of movement and mining activities there. There is a very big mobile population and this may also have led to it having the highest new infections,” she said. Matabeleland North has 17,6 %, Masvingo (12,9%), Bulawayo (14, 3%), Midlands (15%), Mashonaland East (15,2%), Harare (12,8%), Mashonaland Central (11,9%) and Mashonaland West recorded (13,2%), according to Kurehwa’s presentation. She said this was not the first time that Matabeleland South has recorded the highest prevalence rate in the country attributing this to activities happening there that can fuel transmission. Therefore, she said stakeholders need to focus on the area. Kuwengwa said Midlands is also a hot-spot with continued new infections, while Manicaland has the lowest figures at 10,5%. The country’s average HIV prevalence stands at 14,6%, having declined from a peak of 28% in 1997, according to statistics from the ministry. An estimated 1,4 million people are living with HIV, according to 2015 HIV estimates. HIV prevalence among the 15 to 64-year age group is 14,6% according to 2016 ZIMPHIA preliminary results. 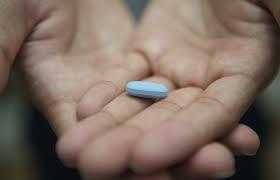 HIV incidence stands at 0,45%, translating to 32 000 new infections per year, according to the Health ministry. The goats must be crazy!